This serum is packed full of natural ingredients to actively improve skin health and overall appearance by helping to reduce fine lines, revitalise, intensively hydrate and firm facial tone. Happy 2014 to you all! The start to the new year has been quite hectic for me but I am now back to my lovely home, sleeping again in my lovely bed and I’m ready to give this blog my full attention. So how to start off my first post for the new year? With positivity! There are a ton of products that I’m impatiently waiting to share with you but, in honor of the upcoming Australia Day and my Aussie readers, I decided to boast about a serum hailing from Queensland. I found Saya Skin while on the interweb and decided I was going to actively search for this brand. I ended up finding it at a local Surfcoast Wholefoods in Torquay, Victoria on my roadtrip to see the 12 Apostles. I had no idea what I wanted to get but after contemplating for too long and too hard in the aisle I finally grabbed for this serum. I really liked the packaging when I first saw it. The amber colored container and black labeling give this brand a very modern, unisex, and sophisticated look. I was even more impressed with this particular container being an airless pump. So not a single drop of serum will be wasted! It’s a pretty standard plastic container and I’ve had no issues with it. My only upset is that I’ve cracked the top because it doesn’t quite latch on the bottle tightly but it’s really not a big deal to me. Since I’m still on Yuli’s Cell perfecto serum for the evening routine, I use this only during the morning. 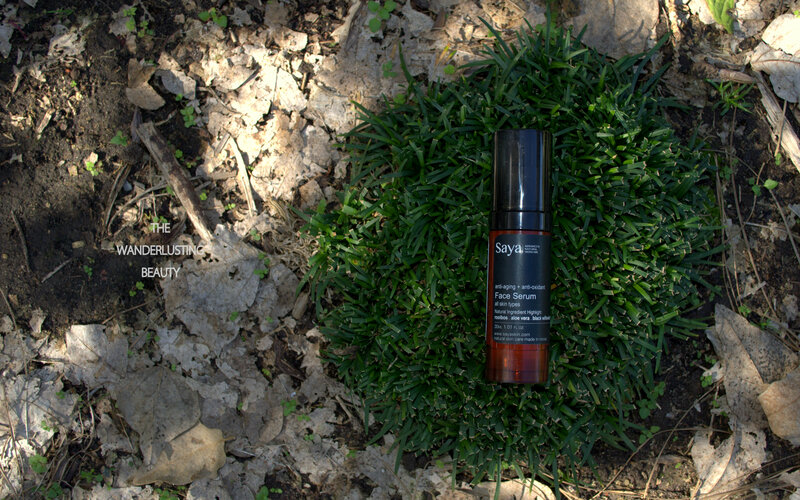 Each day I pump the serum once onto my fingertips, dot it all over my face, and smooth it over. The consistency is slightly lighter than a face lotion and sinks into my skin with ease. I have tested it out without putting on a moisturizer and it left my dry face thirsting for more. Perhaps if you have an oily face you can use this by itself. I normally apply this after a moisturizer and it does a wonderful job of boosting the moisture levels and luminosity in my face. It never leaves my skin looking oily or has a heavy after feeling. The ingredients are not complicated to read and quite short. This helped me in deciding which product to walk away with in the end. 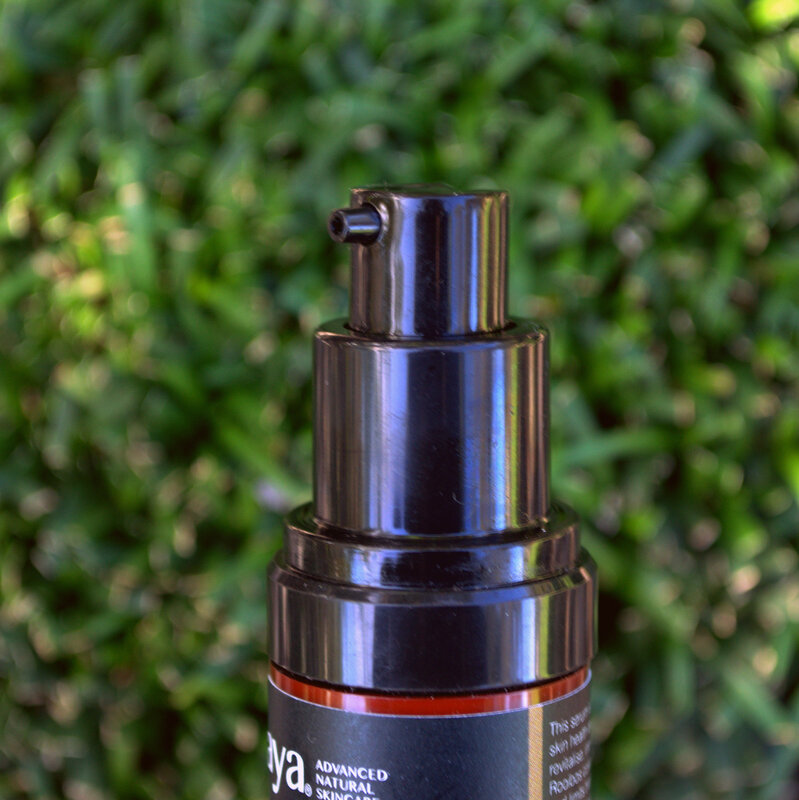 Many of these ingredients have worked really well for my face in the past and they continue to work brilliantly together in this serum today. After much research, I noticed that it shared a few ingredients in common with my beloved Yuli serum (rooibos tea, MSM, and DMAE). Also, seeing black willowboark on the front label pretty much hooked me. If you’re familiar with this ingredient then I know that you’ve suffered with breakouts. This ingredient is best known for containing acne-fighting salicylic acid. I won’t claim that this serum stopped me from breaking out because it most certainly did not. However, it hasn’t aggravated my breakouts when they’ve come through and has also aided tremendously with the healing process. While researching the ingredients I came the realization that each one was practically multi-purpose. Each one contained skin loving benefits like antioxidants and vitamins, soothing and healing, anti-inflammatory/bacterial/aging, acne fighting, and moisturizing. No wonder my skin loves this! Overall, I’m extremely pleased with this product and brand. The serum, the packaging, and the price point give me a completely satisfactory feeling. I purchased a product that is beautifully concocted, genuinely effective, and completely affordable. 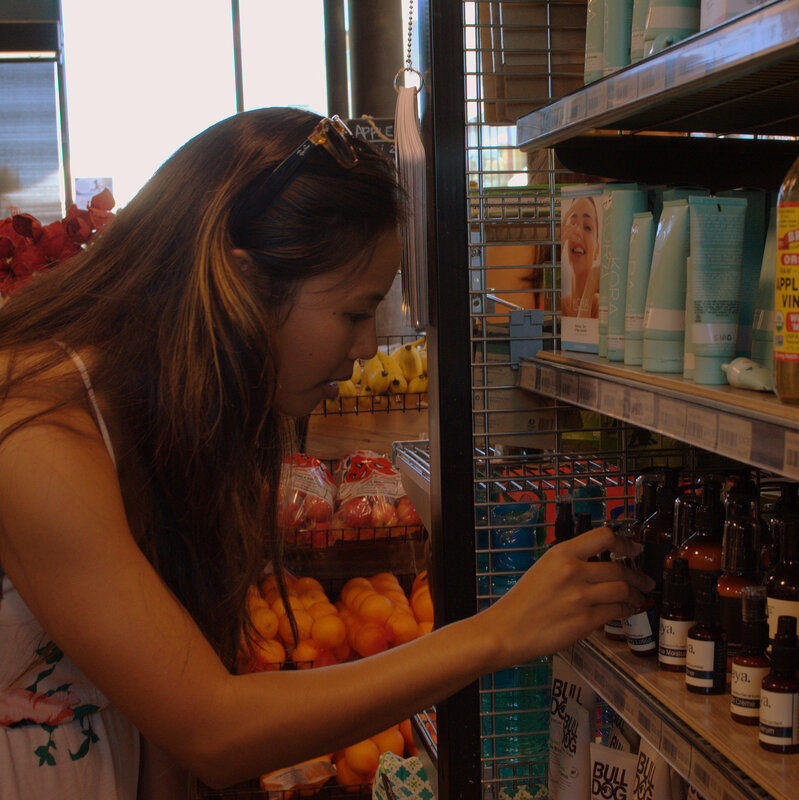 Thankfully, Saya’s founder is a firm believer that natural products don’t need to cost an exorbitant amount of money. So you won’t find an individual item for more than $35. If you’d like to check out this product or others in the line then do so here. Thank you, Kasey! I was hoping to turn heads with this one and I’m glad it caught your attention. I really want to try the other serums, especially the one containing hibiscus. If you ever purchase Saya products let me know!